A strike in the second half from substitute Tadic saw southampton won all three points at Old Trafford and moved to 3rd place in the table. United were awful all game going forward and Southampton pounced on the only opportunity they had in the game. 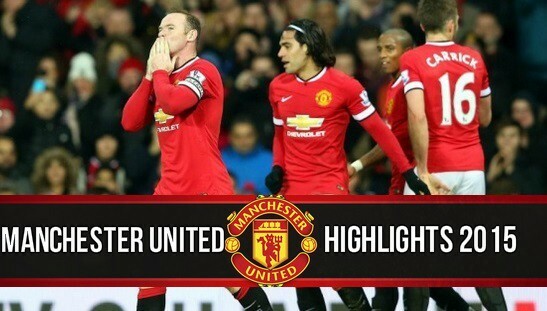 Here is the goal video and match Highlights. Manchester United will be playing against Southampton at Old Trafford come this sunday, 11 January 2015 and it will be the second time both teams square off in premier league within a month. Last time United visited St Marrys they got a lucky escape with just 2 shots on target resulting in 2-1 win where many believed Southampton were undone after superb performance. Its Manchester United’s home form which has enable them to stay in touching distance with the top two and after two back to back draws Louis Van Gaal will be hoping to get all three points in this crucial home game. Southampton are currently sitting 5th in the table and they are a team who looks hard to beat both home and away, although Ronald Koeman will be hoping to better his away record which stands at 4 wins, 1 draw and 4 defeats in the 9 away games, it will be hard task to keep United at bay since they have all big name players fit and raring to go. United home record is incredible with 8 wins, 1 draw and 1 defeat in the 10 games played at Old Trafford so far. The game will be played on 11 January 2015 at around 16:00 uk time and SkySports will broadcast the game live in Uk, while NBC Sport will show the game in United States. We will be placing goals video as soon as they go in right here on this page while extended match highlights and BBC motd video should be available later in the night. So bookmark this page and comeback here shortly after the match to get the replay videos. Manchester United are unbeaten in their last 10 premier league games winning 7 and drawing 3 in the process and Van Gaal was happy with the news that United have only one injured player on the treatment table which leaves him with full squad to choose from. As far as the team news is concerned, Only Ashley Young will be missing against Southampton while Daley Blind and Angel Di Maria both made their return to full team training this week. 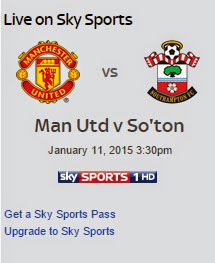 While Southampton will welcome back Nathaniel Clyne and Jack Cork after the recover ahead of United visit.